The tone and content of the discussion of the lack of use of UAVs in the Colorado flooding among the community bothers me. 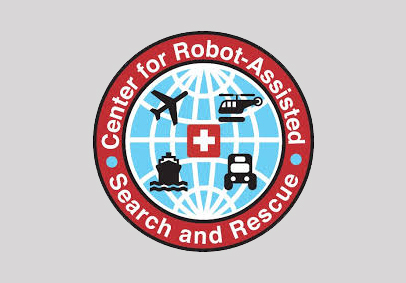 I have flown small UAVs (or UAS depending on what agency is involved) at Hurricane Katrina and Wilma and have assisted with the UAV flights at Fukushima. I have also been turned down by the FAA for emergency COAs. I was involved in discussions to use UAVs at the Moore, Oklahoma, and the decision not to use them there. So I feel I have unique perspective from both sides of the coin. During a disaster, a UAS requires an emergency COA from the FAA, not FEMA. An agency or responsible party has to want to use the UAS, be it FEMA, a task force, or a sheriff before the FAA considers the request. If I as director of CRASAR ask the FAA, they would laugh at me; instead I make the request with the agency that CRASAR is working for (we don't self-deploy which is illegal and unethical). The FAA can turn around an emergency COA in 30 minutes if the requestor can show that the UAS has an existing COA, can specify where it will fly, and show need. Manned and unmanned aircraft are currently not allowed to operate over the same area at the same time, even though they may be at different altitudes. So if an agency wants to fly manned vehicles, such as CAP or manned helicopters trying to airlift people out, they have to decide if they want to stop those operations temporarily to let unmanned systems in. And remember, since communications with the air traffic controllers who are working the disaster and the actual pilots is spotty, there has to be a bit latency/down time to get the word out. So this could shut manned operations down in an area for quite a while. The current solution is to partition the space, e.g., "this canyon on Thursday will be just for unmanned systems." Within that area and time frame, responders can use a small UAS on demand- though there's always a provision to land immediately if an manned system enters the airspace for some reason. However, having to plan to this level of detail, combined with the latency, will drive an agency such as FEMA to say it's just not worth the time and effort- the cost-benefit to the _larger_ operations isn't there. The cost of the deployment has never been an issue, free or not- it just may not be useful. That's what happened at Moore. There were manned assets meeting at least the minimum needs of the responders. UAS may have provided better info, cheaper (also free in that case) but it's a hard sell to shut down something that's working during a disaster to use something new. The FAA was in no way a problem or obstacle, it was a FEMA decision that it wasn't worth it. And I can understand that decision. I think most people don't understand why an area has to be "sanitized" of manned vehicles for a small UAS to be used at altitudes significantly lower than a manned aircraft would fly at. One reason is that the manned aircraft may indeed be flying very low, like a helicopter lower a collar to lift a person out of flood waters. That is extremely dangerous-no-room-for-surprises-or-there's-a-crash-and-everyone-dies operation. So if tactical rescue is a possibility, you don't want anything even nearby that could cause a problem. I also think that the hobbyist versus public aircraft issue is poorly understood. Due to the quirk of the 1960s when dad (I never saw a mom on these outings) would take the kids, a picnic lunch, and the dog to a field to fly a RC plane, hobbyist got special regulations. Fast forward 50 years and these regulations are letting untrained people fly over crowds with open rotor 'copters that have not been in any realistic way been tested. Yep, that loophole needs to be closed in an appropriate way. However, if the platform isn't owned by a hobbyist, it falls under FAA regulations that require a COA. This is not necessarily a bad thing if you've been watching the news where 'copters are injuring people. But it doesn't matter who owns what for a disaster because that airspace is totally cordoned off and hobbyist rules don't apply. You aren't allowed to just decide to fly your quad rotor or RC plane to help, because you are messing with the response. A manned system has to hightail it out of the area, land, and report what happened if it seems something that isn't supposed to be in its area. So even if it seems like a good idea, the risk of interrupting a very important life-saving mission that you (or your police friend) knew nothing about is unacceptable. There's a low risk but a high cost of failure if you interrupt the response. Self-deploying is bad, bad, bad. Is the current system non-optimal? Definitely! Am I a happy camper? Not particularly. Do I understand why an agency might just say no? Yep. But I urge everyone to be aware of the rules and play by them. I don't want to be trapped in a flood with a basket being lowered down to me and then the helicopter waves off, leaving me there for hours.